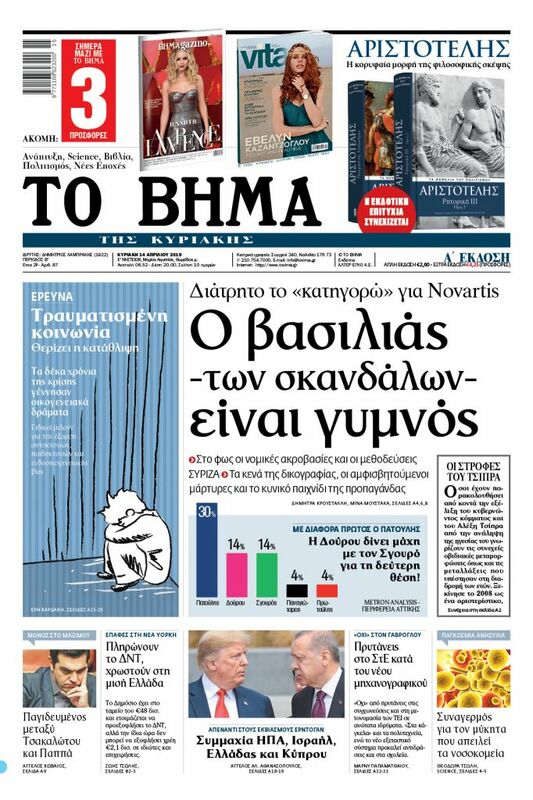 Metropolitan Emmanuel of France tells To Vima that Ecumenical Patriarch Vartholomeos granted Autocephaly to Ukraine to preserve unity, debunks theory of Moscow as ‘Third Rome’. The Ecumenical Patriarchate’s decision to cede Autocephaly to the Ukrainian Orthodox Church, effectively granting it self-rule and independence from the Moscow Patriarchate, has rocked the entire Eastern Orthodox Church threatening it with schism. Moscow has already broken communion with the Ecumenical Patriarchate (its bishops, priests, and finally lay people). 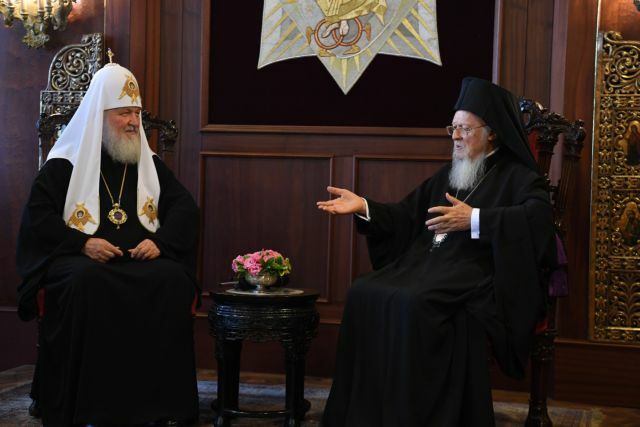 The issue is forcing the primates of other Autocephalous Orthodox Churches to choose sides in a battle of the Titans – between the first-ranking Ecumenical Patriarch Vartholomeos and the leader of the most populous and wealthy Autocephalous Church in Eastern Orthodoxy, Patriarch of Moscow and All Russia Kirill. Orthodoxy came to Moscow from the Ecumenical Patriarchate via Kievan Rus which first embraced it. The dispute is directly linked to Moscow’s centuries-old ambition of supplanting the Ecumenical Patriarchate as first-ranking Church and the Ecumenical Patriarch as first among equals with a special role in coordinating and ensuring unity. Since being granted Autocephaly by the Ecumenical Patriarchate in the 16th century, Moscow has promulgated a newfangled theory that would have it playing the leading role as “Third Rome”, the Eastern Roman Empire (or Byzantium) being the second. Yet this is also a deeply political and geopolitical affair which pits the Ecumenical Patriarchate, backed traditionally by the US in the face of Russian claims, against the Moscow Patriarchate in alliance with Russian President Vladimir Putin, who has publicly attacked Ecumenical Patriarch Vartholomeos and said that he was bribed by Ukrainian President Poroshenko to grant his country’s Church independence from Moscow. Vartholomeos has assigned the delicate diplomatic handling of an historic crisis to the experienced and distinguished Metropolitan Emmanuel of France. In an exclusive interview with To Vima on Sunday, he addressed the issues that arise in this dual ecclesiastical and political crisis. The Moscow-Constantinople clash over Ukraine produced the biggest and strongest statement of Russia’s romantic view of itself as the “third Rome” (following the fall of Constantinople, which was New Rome) by both the Russian Church and State. How do you counter such a claim by such a powerful country which has historically been very pious? The Ecumenical Patriarchate ceded Autocephaly to the Church of Ukraine – as it did five centuries earlier to the Church of Russia – with the sole aim of remedying the schism which for many years burdened the Orthodox people of the country. It did so in the framework of its pastoral responsibility and its duty as the Mother Church of the Ukrainian people, exercising its canonical rights which derive from the decisions of Ecumenical Synods and the centuries-old tradition of the Church. The ceding of Autocephaly to a local Church is a spiritual event for both its faithful people and for all of Orthodoxy. It is not an act of revenge or punishment of one Church by another. The Ecumenical Patriarchate never confronted such an important process in this manner. It always cares with the same love and respect for every local Church. This is well-known to the Russian people, which received Holy Baptism from Constantinople, and the Church of Russia which is the flesh and blood of the Mother Church, from which it received its own Autocephaly. Talk of a “Third Rome” is simply an ideological construct that has nothing to do with the Sacred Canons, nor with the tradition of the Church, nor of course with historical reality, as there was never a “Second Rome” for there to be a “Third”. In the Ukrainian Church issue, the Ecumenical Patriarchate is backed by its longstanding strong supporter, the US, which wants to curb Russian influence in Ukraine. The Moscow Patriarchate is waging war against the Ecumenical Patriarchate, with Vladimir Putin even acting as its spokesman. How has geopolitics influenced ties between Constantinople and Moscow? The Ecumenical Patriarchate considered exclusively the interest of the faithful Ukrainian people and their right in unity to manage their internal Church affairs. I remind you that this is a right that was first claimed and received by the Church of Russia, which was followed by the Churches of Greece, Serbia, Romania, Poland, Albania, Bulgaria, Georgia, the Czech Republic and Slovakia. In all of these cases the Ecumenical Patriarchate responded with a spirit of sacrifice in order to avert schisms and to protect pan-Orthodox unity in its capacity as Mother Church of these peoples. Vladimir Putin is personally and harshly attacking Ecumenical Patriarch Vartholomeos for allegedly having been bribed by Ukrainian President Poroshenko to grant Ukraine Autocephaly and is saying that Vartholomeos has lost his rights and status of primus inter pares because of Ukraine. What does the Ecumenical Patriarchate respond? Without wishing to remark on any isolated statement, it is true that His All Holiness [Vartholomeos] received entirely unjust criticism, fortunately from extremely few people, which in some cases was accompanied by extremely defamatory and offensive characterisations. However, those who judge are also judged. The Ecumenical Patriarchate which always shows respect to every person knows how to endure and forgive. Always with its words and deeds it tries to build for the benefit of the Church and all of society, without focusing on fleeting personal bitterness or even very sharp language. Sometimes in a family the children cannot appreciate the caring and selfless interest of their parents or explain some of the parents’ necessary decisions. That does not change the relationship between them nor does it reduce the interest of the parent in the children. Remember the Parable of the Prodigal Son. The love of the parent for his child even when he has erred never disappears and endures everything. Then there comes a time when the child understands that love and the reasons for the parent’s decisions. With that tender disposition and selfless love the Ecumenical Patriarchate as Mother Church handles her relations with all the newer Autocephalous Churches which are flesh from her flesh and received from her Autocephaly, which is to say the right to manage their internal affairs. This relationship of love, care, and tenderness cannot be overturned, just as the role, Canonical rights, and duties of the Ecumenical Patriarchate are not affected simply because a daughter Church suddenly disputes them for her own reasons and aims. The decisions of the Ecumenical Synods cannot be disputed by fleeting aims and personal ambitions, because that imperils pan-Orthodox unity, which the Ecumenical Throne has made countless sacrifices to guarantee over the centuries. It always serves that unity without fearing anything and constantly works for the good of the whole of Orthodoxy. The Church conflict is liable to cast a chill on the historically warm relationship between the Greek and Russian peoples. How do you intend to deal with that? The Great Church of Christ always showed its love and care to the pious Russian people, which as I said received the Orthodox Christian faith, holy baptism, the alphabet, and later under well-known conditions received Autocephaly from the Church of Constantinople. With the passing of time, there developed a strong spiritual bond between the Russian and Greek peoples. This honest and mutual relationship between the two peoples was always and will always be bolstered by the Ecumenical Patriarchate, which cares and tends to all its children without distinction. Orthodoxy is like a multi-coloured mosaic each tile of which has a special value and significance in shaping the final result. Why did the Ukrainians seek Autocephaly and independence from Moscow and why did it take the Ecumenical Patriarchate decades to react? What change explains the shift and timing of the granting of the Tomos declaring and recognising the Autocephaly of the Church in Ukraine? How do you deal with other competing Orthodox Church formations in the country that are pro-Russian? Are you concerned that as some fear there may develop an ecclesiastical civil war between the two sides there? History bears witness to the fact that the Ukrainian people never distanced themselves from the Mother Church of Constantinople, from which they received the holy baptism and the Orthodox faith. They always felt this unbreakable bond and exhibited that diachronically in a variety of ways. Throughout the 20th century they often turned to the Ecumenical Patriarchate asking for Autocephaly. Over the last 30 years these pleas became more frequent and more intense. For its part, the Ecumenical Patriarchate despite the various difficulties and the particular historical and political conditions was never indifferent towards the Christ-loving Ukrainian people and always followed their course and the difficulties they faced, especially after 1991 when the ecclesiastical division in the country took on greater proportions. In the last years and given how the situation had evolved there was a clear need to confront the division, which tested millions of Orthodox Christians in the country. That is why the Ecumenical Patriarchate decided last April to accept the request of the Ukrainian people for Autocephaly. The desire of the Mother Church – which I reiterate did not act based on its own interest or due to political pressures – was to resolve a lingering ecclesiastical problem and for the entire Ukrainian Orthodox people to benefit from Autocephaly. Certainly, this is a process that requires a display of a spirit of love, reconciliation, and communication among all the faithful and all sides. Already, the Primate of the newly established Orthodox Church of Ukraine, Metropolitan Epifaniy of Kiev and the hierarchy of the Church are proceeding, as His All Holiness the Ecumenical Patriarch urged them, with that spirit of love and peace towards everyone, without exception or distinction. This is the only secure path to avoiding possible tensions and to restoring the much-desired unity of the body of the Church in Ukraine. Patriarchs Vartholomeos and Kirill have known each other for decades and for both it was clear early on where they were headed. How has this longstanding relationship affected the confrontation over Ukraine? Indeed, the two Primates have a longstanding acquaintance and in many instances they had the opportunity to exchange views and cooperate. The resolution of the Ukrainian ecclesiastical issue, however, is unrelated to the personal relationship and communication of the two ecclesiastical figures. It has to do with healing the division of the ecclesiastical body of Ukraine and restoring its unity. When millions of faithful are against their will outside of ecclesiastical communion and address a plea to the Mother Church to care for them, she has the obligation to do everything to help and to restore their Eucharistic and liturgical relationship with the Church.